The Makita BBA520 Petrol Hole Borer has been manufactured with a 2.6hp 52cc petrol engine with an easy-start electronic ignition. 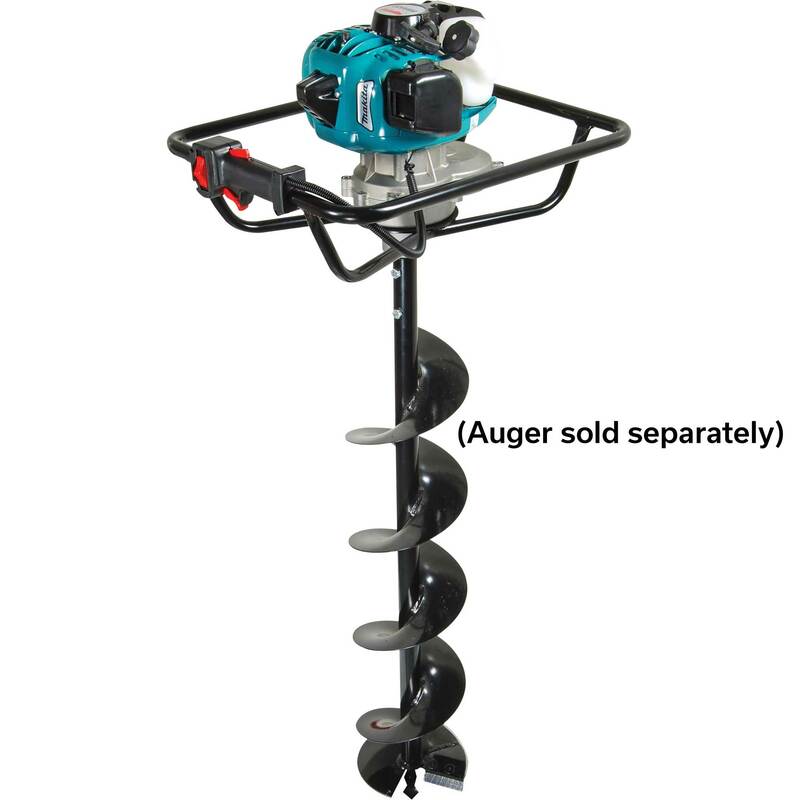 This auger is lightweight, weighing only 10.5kg, but is powerful and sturdy and can cope with the toughest conditions. Designed for ease of use for a one-person operator, it is a low-cost and energy-saving solution for drilling holes in the ground for fence posts, stakes, and many other applications. 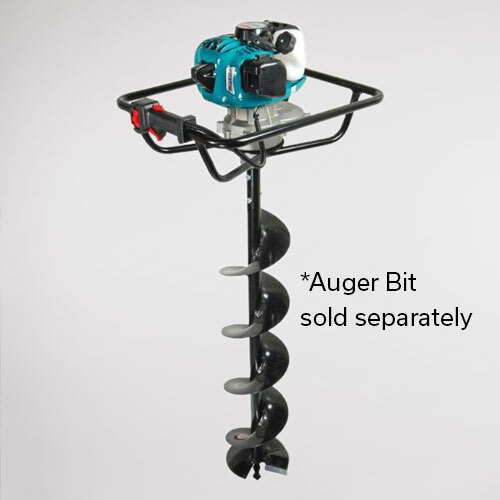 A range of interchangeable auger bits are available. Suitable for drilling a pilot hole prior to driving your stakes (max. 4″) with the Easy Petrol Post Driver.